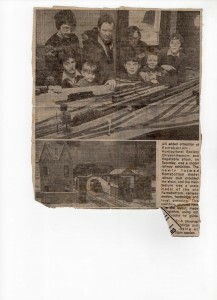 Here you will find some photographs and articles of the group. 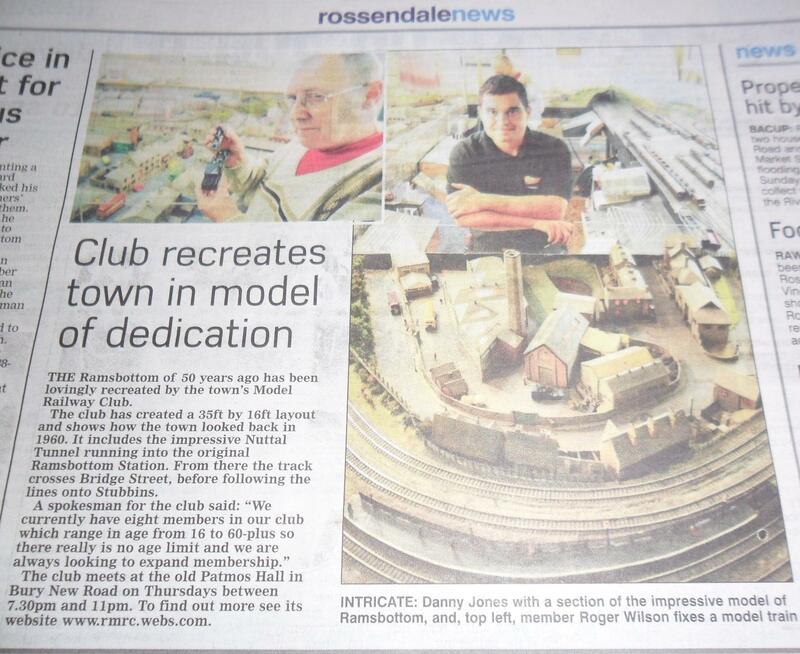 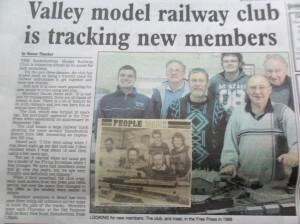 Over the years we have appeared in the Bury Times, Rossendale Free Press, Lancashire Evening News, Manchester Evening News, Model Rail Magazine and East Lancashire Railway Magazine. 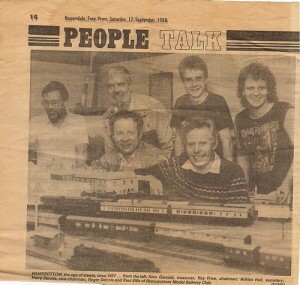 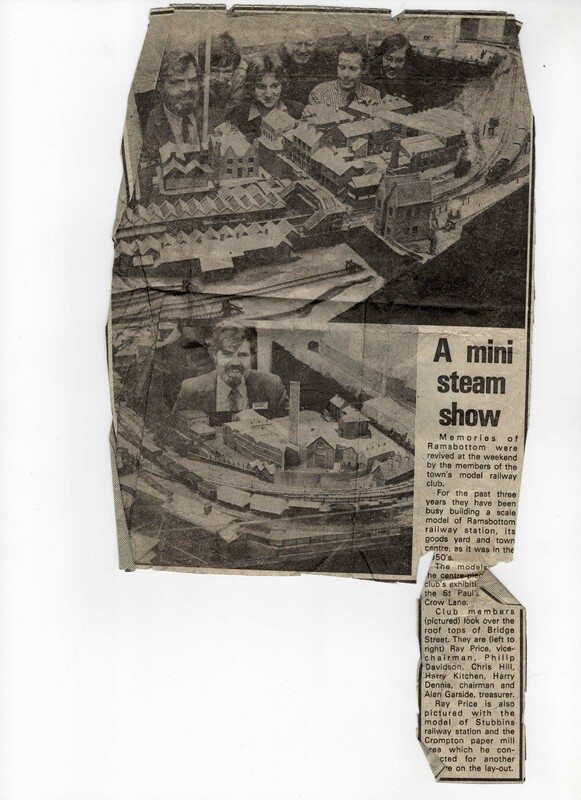 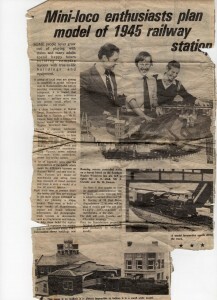 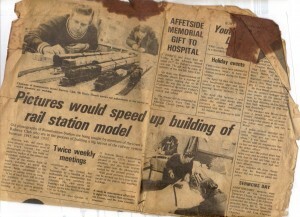 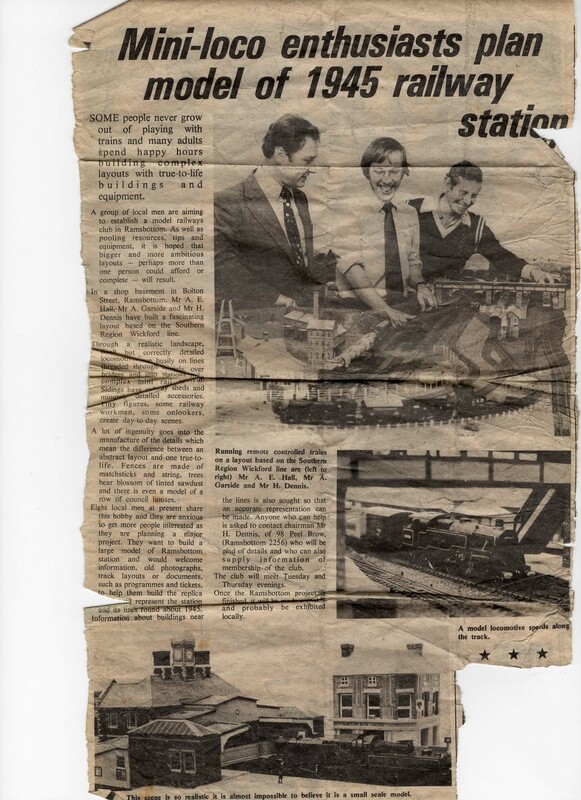 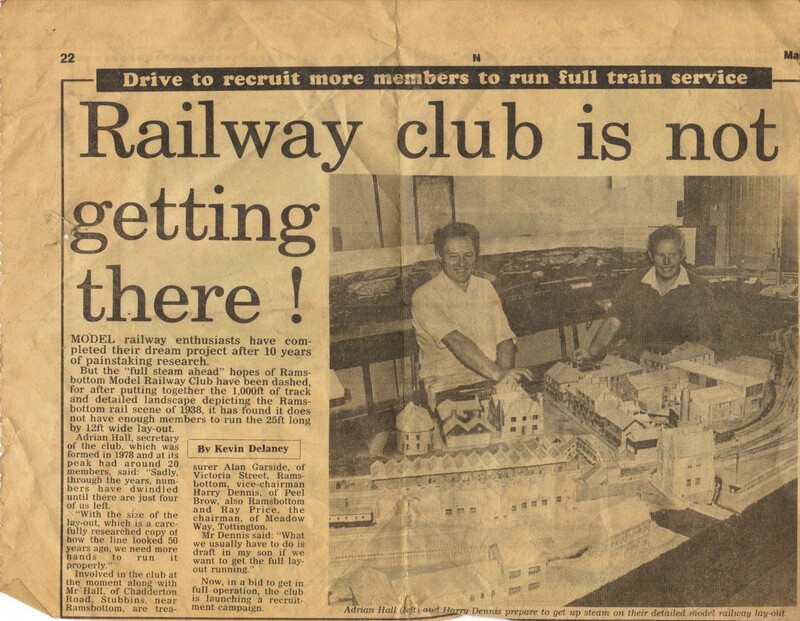 This article shows L-R Adrian Hall, Alan Garside and Harry Dennis infront of Adrians old layout Southern Region Wickford line. 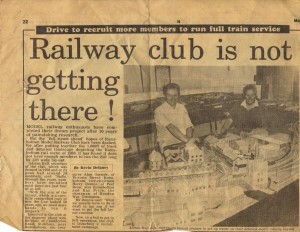 This is also trying to recruit more members in the Bury Times from around 1980.